A partnership between Carleton University and the All India Council for Technical Education will aim to support women tech entrepreneurs in Canada and India. 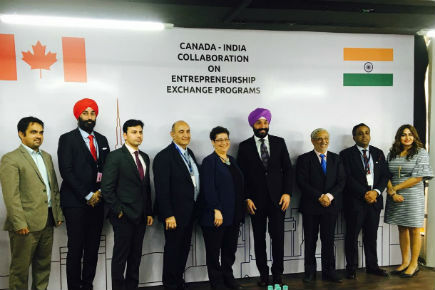 A Carleton release states that the Canada-India Acceleration Program will help Canadian women scale-up their companies in untapped markets in cities across India with mentorship from global entrepreneurs, more than 200 incubators, meaningful connections to corporations, potential seed funding, and internship opportunities. A similar program will send women entrepreneurs from India to Canada. Carleton is contributing funds to the initiative and has been raising money outside the university, including $1M from NRI Startup India.